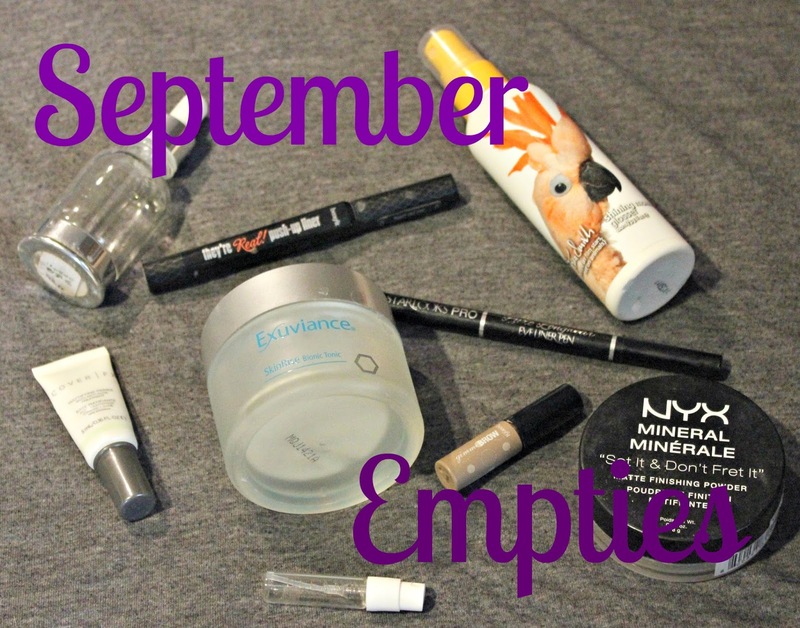 My First Empties Post- See Which I Would Repurchase! So, I always say that I want to do an empties post, but either myself or my wonderful husband would pitch my empties bag on garbage day forgetting about my little post plan. This time, I managed to do it! I collected all of the items that I used up completely in the month of September. Now, with that being said, I didn't start using these at the beginning of the month but I have been using them for a while and just happened to finish them this month. First up, the NYX Set It & Don't Fret It finishing powder. 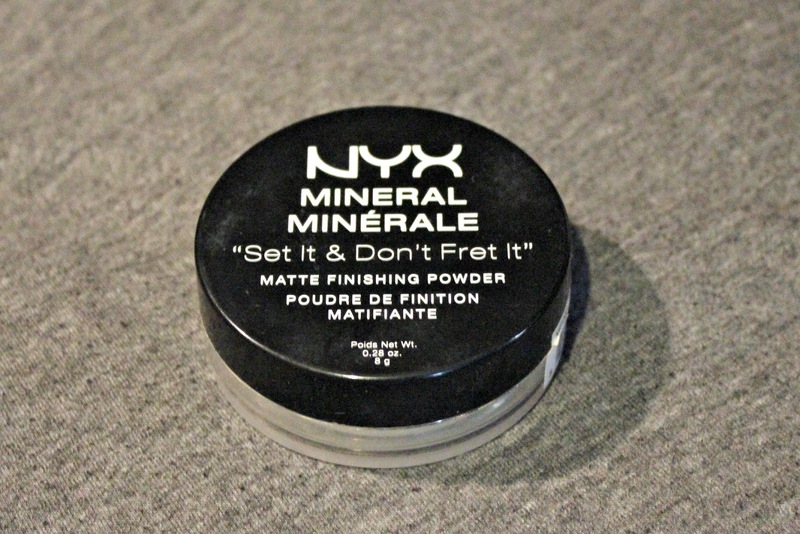 I loooooved this and I am going to rebuy during my next Ulta or Target trip. I did seem to finish this really quickly, but I do use a decent amount to soak up all that shine. I went through 2 eyeliners. The benefit They're Real push up liner I got a looooong time ago. I only used it once and a while because, honestly, I hated it. It just didn't fit right for me and I had the formula. 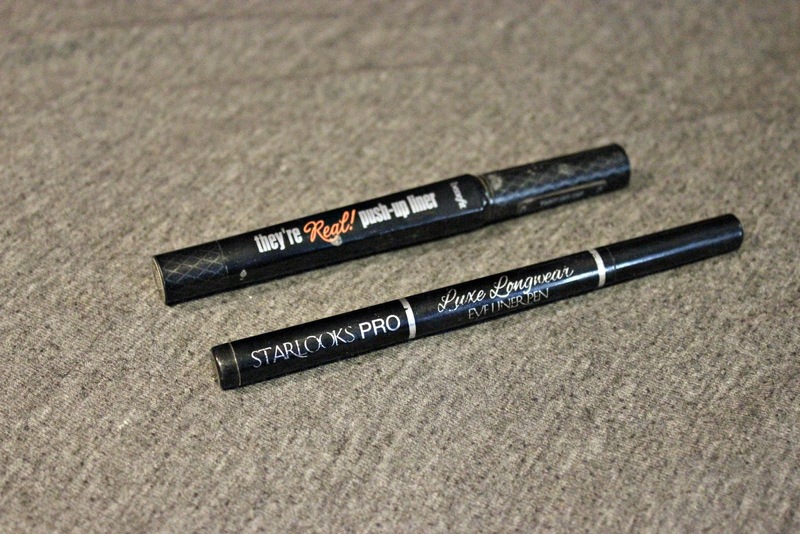 The Starlooks Pro Luxe Longwear eyeliner was a felt tipped liquid liner. I was not such a huge fan. Not because it was bad, but I prefer a creamy pencil to felt liquid. Also, since I subscribe to Ipsy I will not be needing any new liners anytime soon. I am stocked! Next up were two of my favorite skincare products. I just looooove everything Borghese puts out and the Facial Oil wasn't any exception. I actually used it as a makeup remover and I neeeeeed more. I am now spoiled! 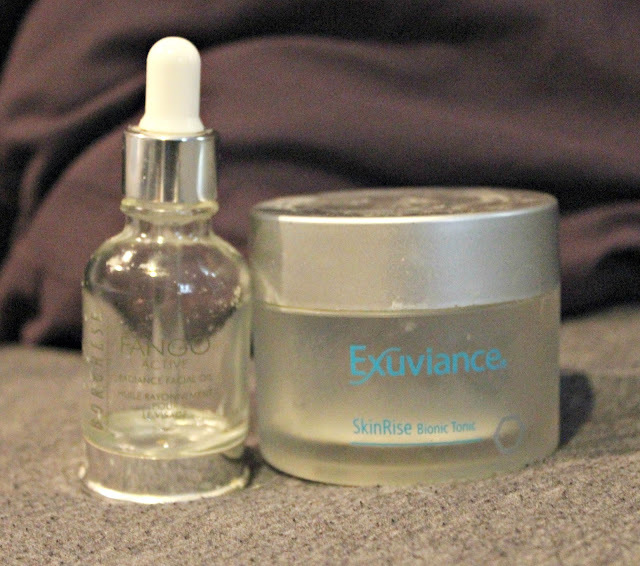 The Exuviance SkinRise Boinic Tonic was awesome! They were pads soaked with the awesome formula. It was a great second clean up option after a regular face wash. It smelled awesome and made my skin feel so soft. 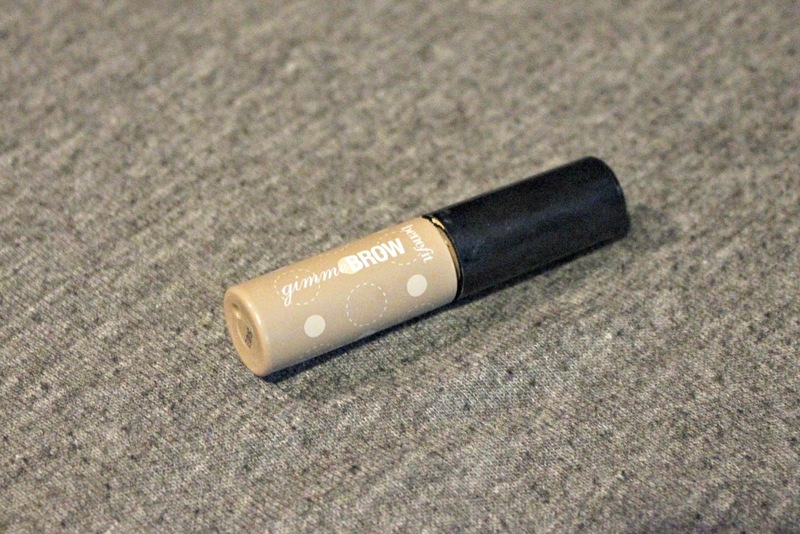 Next is a sample size of benefit Gimme Brow fiber wand. This was awesome and a gym bag favorite of mine. After the gym, I don't have a lot of time to reapply my makeup. I would use this to tame and shape my brows all while adding a little color. I actually got a similar one from Revlon that I love. It has replaced this one and does the same thing, but with a bigger wand. If I wander upon this on sale or something special, I would grab it up again. Buy again! I got this as a press sample about a year ago. 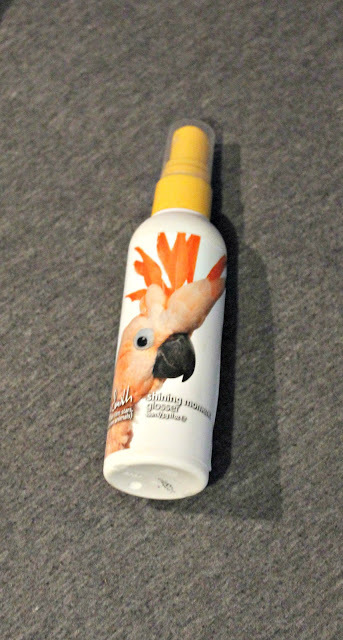 It is a glossing spray from Tara Smith Haircare. It smells amazing and makes my hair feel even better. I will not be repurchasing this because I fell in love with Ghost Oil. It's my go to for anything hair. Like I said, I enjoyed this product but I have one I enjoy more now. Lastly, Cover FX Mattifying Primer with Anti-Acne Treatment. 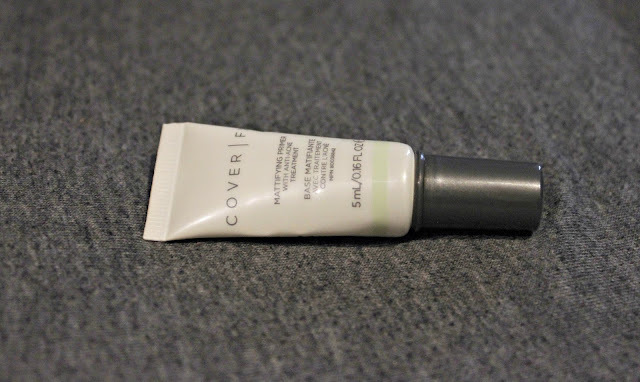 You all know about my battle with acne so, I loved this primer! It feels awesome with it's coverage and it was light enough that it didn't feel like there was a pound of primer on my face. I will be repurchasing this one in a full size once I finish up my current Smashbox primer.